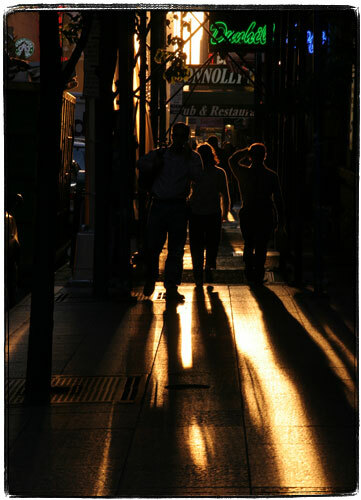 As I was taking this picture of people backlit by a sunset, a was shoved with a great deal of force. From the following stream of obscenity I understood that I inadvertently pushed (or more likely just simply got in the way of) an “apology enforcer”, and the shove that I got was my punishment for not apologizing. Apology enforcers are this tiny subset of New Yorkers who will berate you for any tiny little bump that you might give them in the most crowded streets, subway cars and platforms. They will demand an apology even if you didn’t feel the bump yourself or even if they bumped into you. The crazier ones will return the bump back, taking it almost to the level of assault and curse you in the process. The only way to deal with them is to apologize and not try to argue your case. This does not always work, as the craziest of them will follow you, delivering an obscenity laced sermon on the importance of saying “excuse me” and “sorry”. Try to get away as quick as possible from them. Walking down 8th I came into a White Castle to buy a diet soda. I prefer fountain soda to canned stuff. 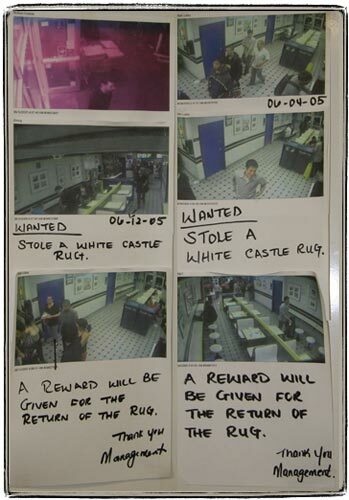 Most of the patrons took some time to study two wanted posters documenting the great White Castle rug capers of ’05. The guy on the right kind of looks like Monzy a little bit (it’s not him though). These thefts reminded me of all the stuff (including a webcam) that was stolen from DNA Lounge over the years. This also reminded me that the best way for hotels to stop towel theft is to use non-logoed towels. Stealing stuff without logos is just not as fun. A little further down 8th I saw an elderly guy sitting on the stairs leading down to the subway. The guy was breathing heavily and holding his chest. “I really, really hope so” is not a good answer to the standard “Are you Ok?” from a gray haired gentleman, with a forehead overflowing with sweat on a cool summer evening, staggering to get up and sitting down again and strangely not emitting any alcohol vapors. I called 911, described the situation to the dispatcher and waited for a “radio car” to show up (it took about two minutes). The cops talked to the old dude, who happened to be a tourist from one of the Carolinas, and quickly called him a “bus“. Meanwhile, I noticed another thing about NYPD uniforms – there is a little bar over the pocket that indicates in Roman numerals the previous round anniversary of the cop’s service. The guy responding to my call was a 10+ year veteran, the other cop was a rookie. When I made it to West 4th the old school clock on the top of a building was showing time in those alien characters from Predator. My good deed for the day done, I walked further. 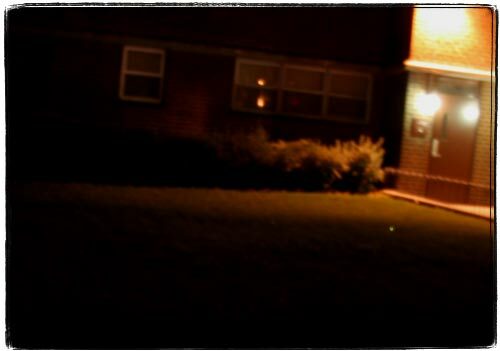 Guess what – there are fireflies on lawns in Manhattan too. I reached 34th street and once again stopped to appreciate “Radiant Site” – and art piece by Michele Oka Doner. 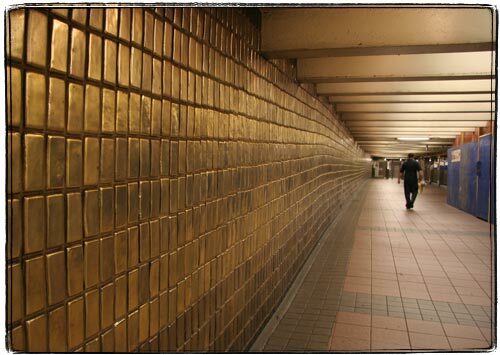 I like it, the hand made gold tiles are all different and look very good. But then again, I can’t stop myself from thinking that this is not really art, but something that any contractor with a good tile supplier could accomplish. 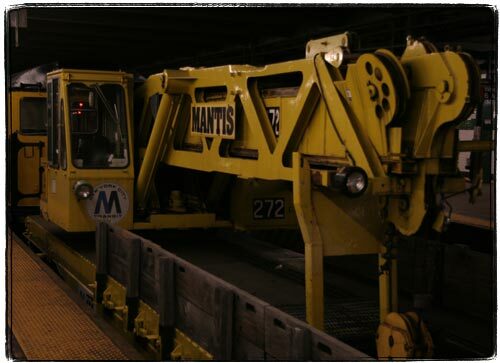 Down on the platform instead of a regular train I was met by the cool Mantis crane car. P.S. 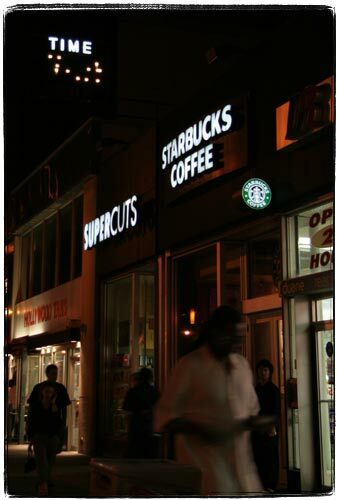 Dang, that Starbucks logo is everywhere. It’s in two photos in this post.